AL MOONEY’S AIRCRAFT included, among others, the Alexander Eaglerock and Bullet, the Bellanca Irish Swoop racer and its Airbus cargo plane, the Monocoupe Dart Model G and its Monocoach sibliing, and the Lockheed Jetstar. Not bad for a guy who claimed to be a self-taught designer. 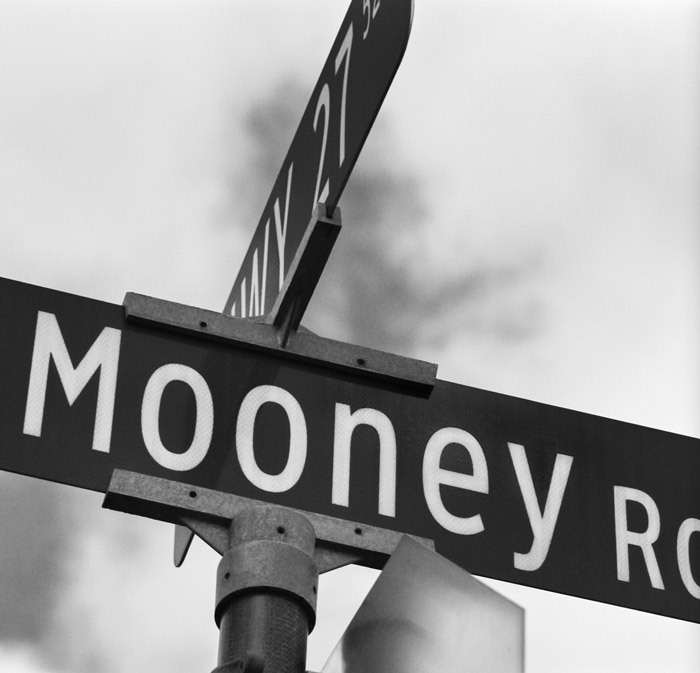 Al also started Mooney Aircraft Company; indeed, he started it twice: The original company failed in 1931, one of many to do so in the Great Depression. Today’s Mooney Aircraft, its slogan “Make It Strong. Make It Simple. Make It Fast,” traces from 1946. Al Mooney left it for Lockheed in 1953. He retired in 1968 and died, age 80, in 1986. The Dart Model G, an Al Mooney design, had plenty of heritage. 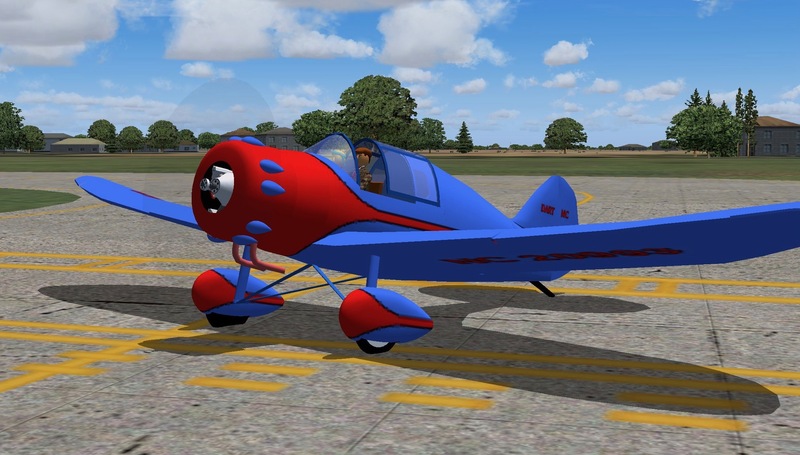 According to Bill Gunston’s World Encyclopedia of Aircraft Manufacturers: From the Pioneers to the Present Day (2nd Edition), 2006, there were Mono-Aircraft, 1926–1934, Moline, Illinois; Lambert Aircraft Corporation, 1934–1936, Robertson, Missouri; Monocoupe Corporation, 1934–1940, intermittently active after this, eventually in Orlando and later Melbourne, Florida; Dart Aircraft, 1933-1939, Columbus, Ohio; and Culver Aircraft Company, 1939–1949; Columbus, Ohio, later Wichita, Kansas. My Gmax model of the Dart for Microsoft Flight Simulator. My Dart Project. My introduction to the Dart “Model G” 90 Hp Monoplane came from the Antique Airplane Association book Classic Airplane’s of the 30’s and Aircraft of the Roaring 20’s. 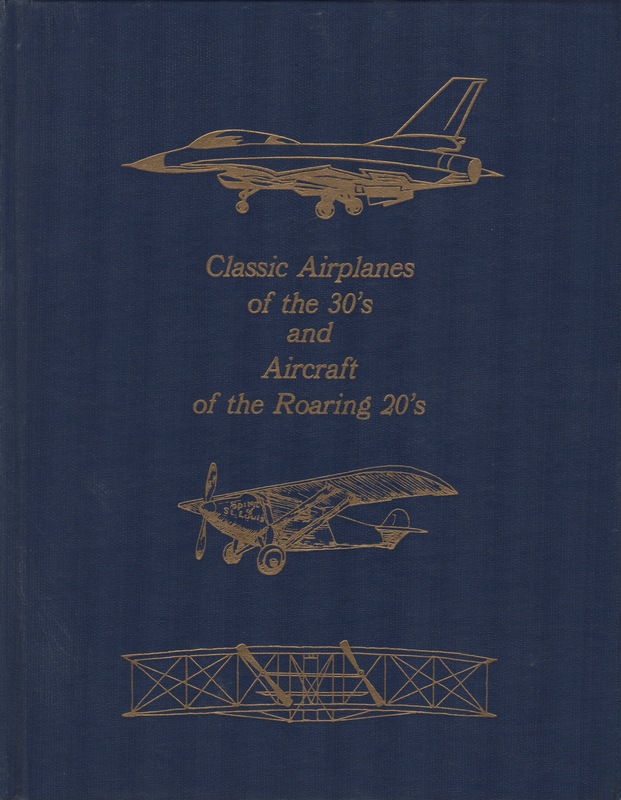 Classic Airplanes of the Thirties: Aircraft of the Roaring Twenties (Flight, Its First Seventy-Five Years), advisory editor James Gilbert, Arno Press, 1980. Dart Model G. Wing span: 29 ft. 7 in. Gross weight 1550 lb. 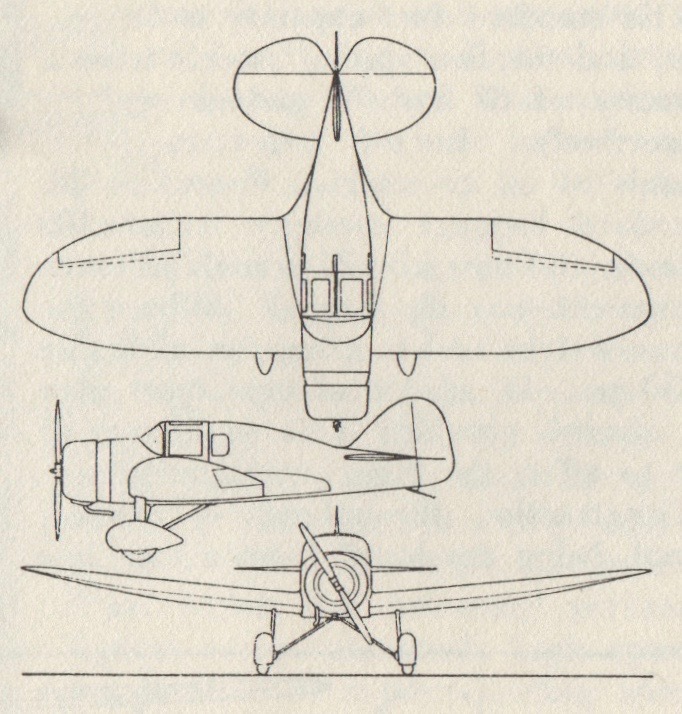 This and the following image from Classic Airplanes of the 30’s and Aircraft of the Roaring 20’s. The Dart’s cantilever wing had fabric covering over wood construction. The fuselage and tail were of welded metal tube, fabric covered. The Dart was powered by a Lambert R-266 five-cylinder air-cooled radial displacing 4.35 liters (266 cu.in.) and producing 90 hp at 2375 rpm. Performance cited for the Dart included a maximum speed of 130 mph, with a cruising speed of 110 mph at 2/3 power. A range of 580 miles was claimed from the 25 gal. of fuel carried in two wing tanks. Part of the fun with Gmax and Microsoft Flight Simulator is rendering both the shape of the craft as well as its performance. The sliding “enclosure” is another feature made possible by this software. 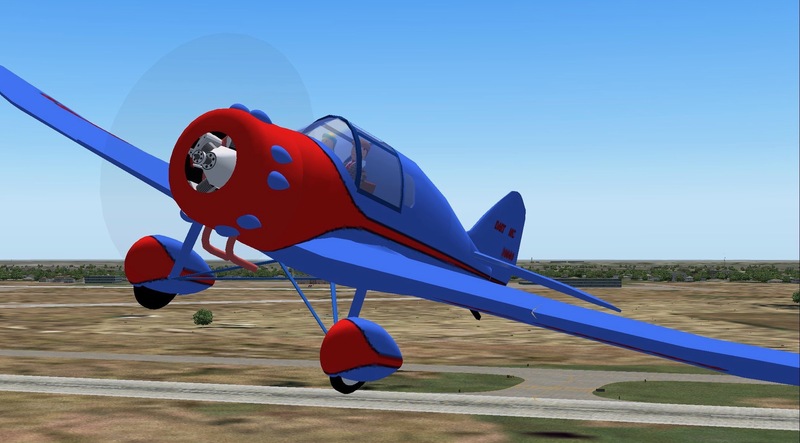 This entry was posted on March 18, 2019 by simanaitissays in Computer Flight Sim, Vintage Aero and tagged "Classic Airplane's of the 30's and Aircraft of the Roaring 20's" Antique Airplane Association, Al Mooney aircraft designer, Culver Aircraft 1939–1949, Dart Aircraft 1933–1939, Lambert Aircraft Corp. 1934–1936, Mono-Aircraft 1926–1934, Monocoupe Corp. 1934–1940, Mooney Aircraft, Mooney-designed) Culver Dart Model G aircraft.